We at Medicare Remedies Pvt. Ltd manufacture and export a wide rangeof Anticancer injections, which are used to relieve or cure Various types of cancer in a wide range of conditions, Our range of injections are widely acknowledged for their fast effect. We at Medicare Produced under the supervision of experienced researchers. Our company is instrumental in the importing, wholesaling, trading, supplying and exporting of premium quality Ristova Injection. Formulated in accordance with FDA norms using best grade ingredients, our offered injection is used for the treatment of non- Hodgkin's lymphoma. 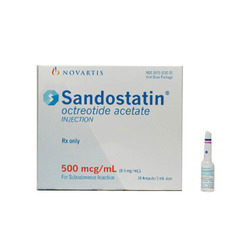 Apart from this, this drug also shows effective results against rheumatoid arthritis. Dosage As prescribed by physician. We are among the leading manufacturers, suppliers and exporters of optimum quality Xolair Injection. These injections has been shown to decrease the incidence of asthma exacerbation in these patients. These injections are highly demanded in the market for their high effectiveness. 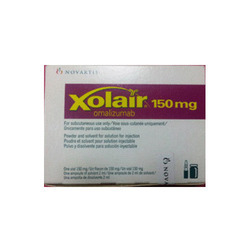 Uses: Xolair (omalizumab) is an antibody that helps decrease allergic responses in the body. 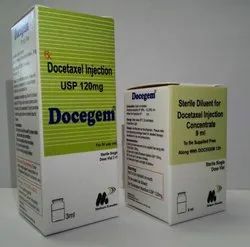 We hold expertise in offering supreme quality Docetaxel Injections to our esteemed customers. The offered injections are used for the treatment of various forms of cancer. We deliver these injections in bulk quantities within the promised time frame at the customers’ end, owing to our well-connected distribution network. We are instrumental in offering best quality Granisetron Injections to our esteemed customers. These injections are processed as per FDA standards and under the supervision of a team of highly skilled professionals. The offered injections are commonly used in treatment of chemotherapy-induced nausea and vomiting. Anti Cancer Injection (Methotrexate Injection) is a type of chemical which is used to treat particular kinds of cancer and other diseases. It affects on cells that grow rapidly such as cancer cells, cells of psoriasis, and cells in your mouth and stomach. 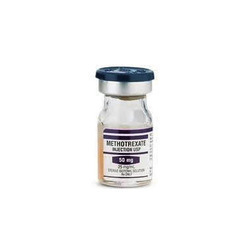 Methotrexate is used to treat dangerous types of cancers including leukemias, lymphoma, breast cancer, and others. Lower dose of methotrexate injections may be given to patients with psoriasis or rheumatoid arthritis. Methotrexate is used to treat only life-threatening cancer. It is ingested in severe psoriasis. It also works in rheumatoid arthritis. The drug can be given by injection into a vein or a large muscle. In special situations, it may be injected into the spinal cord. Depending upon the condition of the patient, the dose of Methotrexate can vary. You should explain your medical history to your Doctor. You should tell your Doctor if you ever have any ulcers, lung disease, problems with your immune system, intestinal disease, cancer, kidney or liver disease. You should tell your Doctor if you are pregnant or doing breast feeding. Without the prescription of doctor, do not have any vaccinations (e.g., measles or flu shots). the varied demand of our customers in an appropriate manner. Our professionals are highly experienced and very well aware of the trends ruling the market. They ensure that the customers associated with us are served in best possible manner. one can also avail our range at reasonable prices. 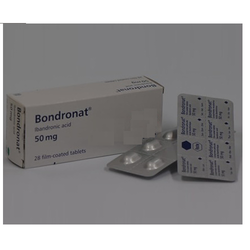 We are among the prestigious manufacturers, suppliers, and exporters of Bondronat Tablets in the industry. The offered tablets are prescribed for the treatment of osteoporosis caused in women post their menopause. These tablets are formulated with the aid of premium quality inputs and sophisticated technology. It also prevents further weakening of the bones and reduces excess calcium in blood. 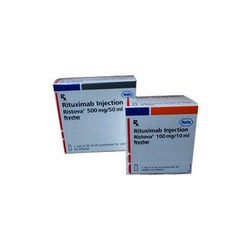 Rituximab injection100mg & 500mg Rituximab is a cancer medication that interferes with the growth of cancer cells and slows Rituximab their growth and spread in the body. it is used in combination with other cancer medicines to treat non-Hodgkin's lymphoma or chronic lymphocytic leukemia. 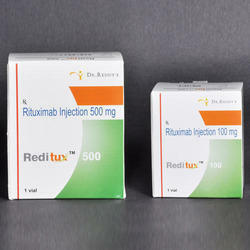 Reditux 100mg & 500mg Rituximab is also used in combination with another drug called methotrexate to treat symptoms of adult rheumatoid arthritis. 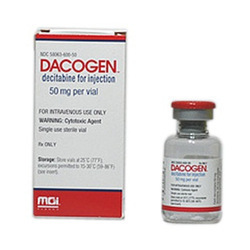 Dacogen is a nucleoside metabolic inhibitor indicated for treatment of patients with myelodysplastic syndromes (MDS).MDS are a group of diseases in which the production of blood cells by the bone marrow is disrupted. 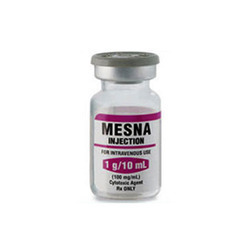 Owing to our rich industry expertise, we are engaged in the importing, manufacturing, trading, wholesaling and supplying of high quality Mesna Injections. These injections are formulated under the supervision of qualified professionals using best grade ingredients that are procured from trustworthy vendors. Used to prevent bleeding from the bladder during chemotherapy, offered injections are provided at a low price. Looking for Anticancer Injections ?